Managed by the Town of Marion. Donations for preservation of the lighthouse may be sent to the Marion Marine Gift Fund, 2 Spring Street, Marion, MA 02738. 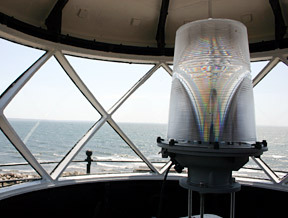 Accessibility: The lighthouse is not open to the public and is best seen by boat. The public is allowed to land at the island via private boat from September 1 to April 15. Please contact the harbormaster at 508-748-3535 before going onto the island in September, as birds may still be nesting.